Distributor & Supplier of Automotive Batteries for Car. Our product range also comprises of UPS Systems, Inverter Batteries and Automotive Batteries. 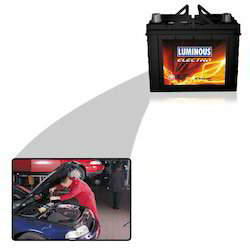 We are one of the distributor, supplier and trader of Automotive Batteries for Car. These offered products are used for car. We offer our products in the market with affordable price and low maintenance.